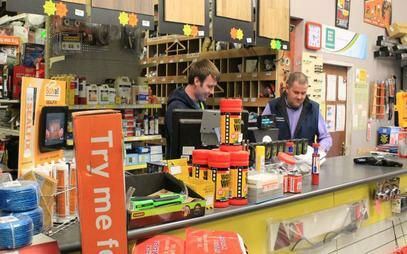 Fitzpatrick Fuels & Hardware is a family run business in County Monaghan. 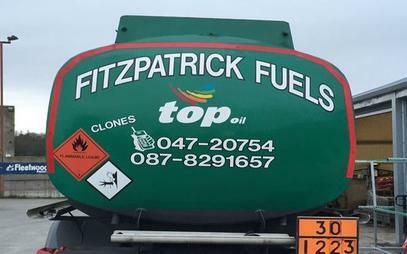 We provide fast and efficient fuel distribution and home heating oil delivery in Monaghan, Carrickmacross and surrounding areas. Power tools from top manufacturers, including Milwaukee, DeWalt, Worx, Bosch, Panasonic & Draper - drills, grinders, impactors, routers, circular saws, planers, etc. 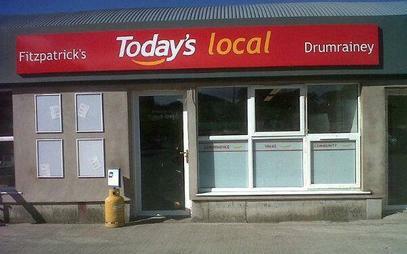 Fitzpatrick Fuels & Hardware are your 1 stop for all your hardware and fuel needs in Monaghan. We stock a wide range of power tools from top manufacturers, such as Milwaukee, DeWalt, Worx, Bosch, Panasonic and Draper to suit all budgets and requirements, including drills, grinders, impactors, routers, circular saws, planers, etc. 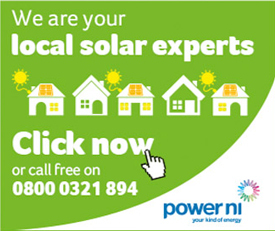 We stock all types of electrical supplies for domestic and commercial use, including energy saving light bulbs and LED light bulbs, electrical cables, light fittings, carbon monoxide alarms and smoke alarms, electrical sockets and switches, electric fittings, electrical tape, etc. 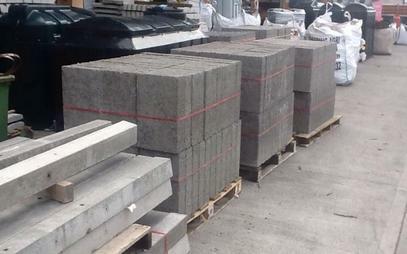 We stock all building supplies, including concrete lintels, sand and cement, skimcoat and bonding, plaster, building blocks and bricks, pier caps, kerbs and copings, plasterboard and insulation, waste pipes, ESB pipes, water pipes and pipe fittings, manholes and manhole covers, pre-cast concrete, etc. We are you no. 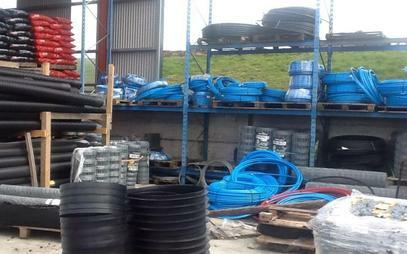 1 plumbers supplies centre and stock a wide range of plumbing supplies, including plumbing fittings, home heating oil burners, copper cylinders, showers and fittings, radiators, copper piping and fittings, large selection of taps, oil tanks, etc. 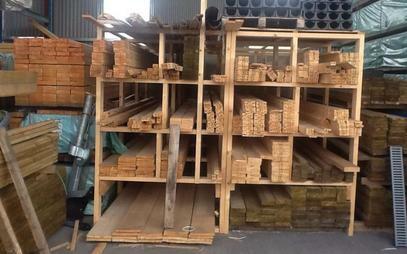 We are you local timber merchants for all your timber requirements and stock a wide range of timber for all exterior and interior joinery. 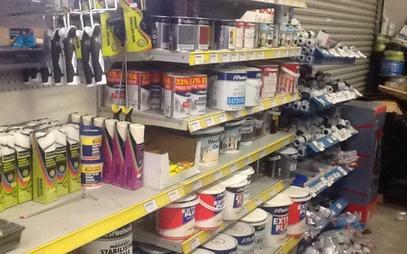 We stock all the paint and decorating materials required for all decorating projects, including a large selection of paints in a wide range of colours, try before you buy sample paint pots, paint brushes and rollers, paint stripper, paint scrappers, etc. We stock a large selection of workwear and safety clothing, including Goliath safety boots, Hi-vis jackets and vests, Snickers trousers, Snickers jackets, work belts, work overalls, etc. 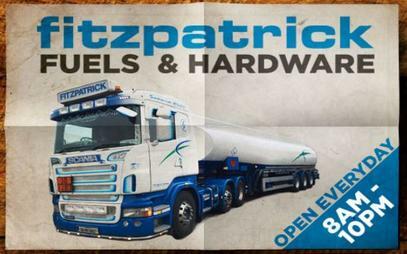 Fitzpatrick Fuels & Hardware specialise in fuel distribution and home heating oil deliveries in Monaghan. 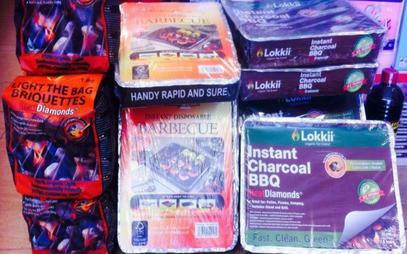 We only deliver top grade quality fuel and home heating oil for both residential and commercial use. Our cash & carry and coal shed in Monaghan stock all types of solid fuels, coal and bottled gas, including derv, green diesel, road diesel, petrol, peat briquettes, Polish doubles, household coal, smokeless coal, superior Polish coal, bottled gas in all sizes, patio gas, LPG and butane, stove coal, singles, slack, logs and firelighters, etc. 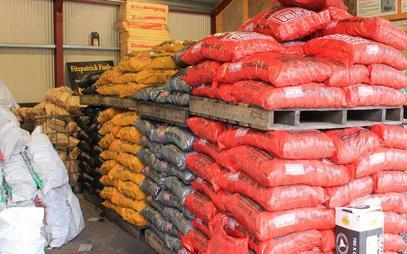 We stock a wide range of farm supplies, including hydrochloride, silage wrap and tape, grass and lawn seed, Bekina wellies, Wellington boots, poultry feeders and drinkers, cattle and sheep syringes and needles, dozing guns and calving aids, cattle grids, cattle feeders, sheep feeder, etc.